Why stick with a generic Hallmark card when you can send an edible card from Eat the Fine Print? 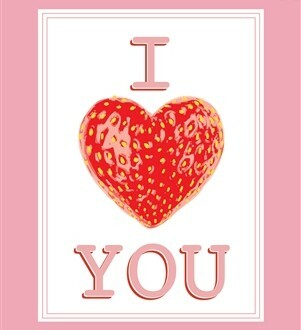 These gluten-free greetings are made with potato starch, water, palm oil, natural fruit flavors and palm oil. 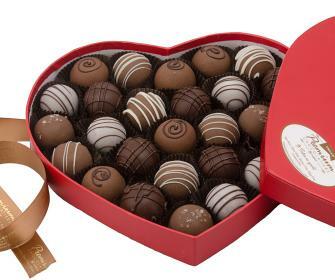 Life may be like a box of chocolates, but in this case, you know exactly what you’re going to get: gluten-free, vegan, and nut-free truffles from Premium Chocolatiers. Indulge in fudge, raspberry, coffee, Grand Marnier and salted caramel flavors. 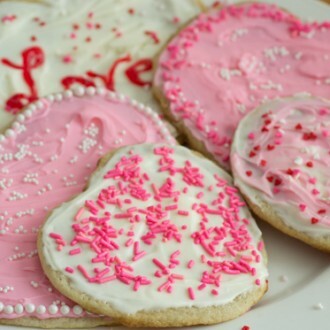 For Valentine’s Day fun for the entire family, spend an afternoon baking and decorating a batch of sugar cookies with this gluten-free baking mix from Kristen’s. 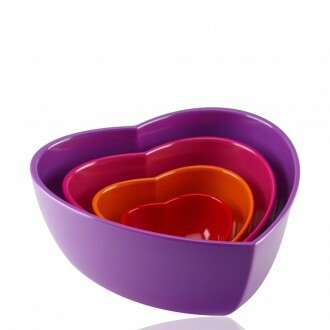 Serve up snacks and goodies to the ones you love with these fun (and functional) heart-shaped serving bowls from Zak Designs. Special enough for Valentine’s Day but durable enough for everyday use, these bowls are dishwasher safe and easily stored. This gift basket from Jelly Belly is completely gluten-free and contains three different kind of Valentine-themed jelly beans as well as a fluffy “I Love You” teddy bear. Perfect for both the young and the young at heart. Who says gingerbread houses are just for Christmastime? 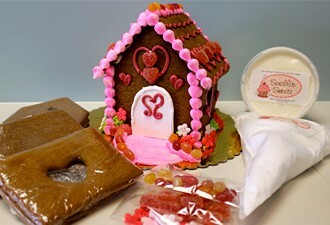 Cozy up and build a “Love Shack” with this fun gluten-free kit from Sensitive Sweets. Everything in the kit is also dairy, egg, soy, peanut and tree nut free. 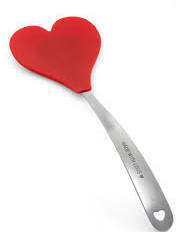 Your loved ones will flip for this heart-shaped spatula. Though ideal for cookie baking or flipping pancakes for a breakfast in bed, it doesn’t matter what you make–like the handle says, anything you create will be made with love. Good cooking comes from the heart. Now you’ve got a spoon to match. 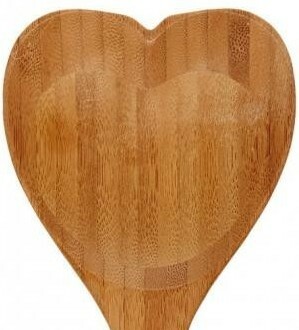 Spread a little love this Valentine’s Day with this sweet heart-shaped bamboo spoon. 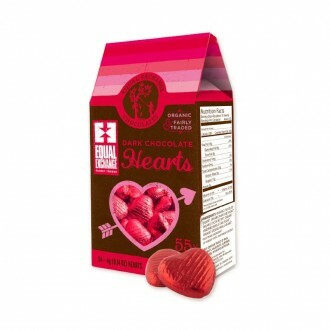 These dark chocolate hearts from Equal Exchange don’t just taste good — you can feel good about eating them. The chocolates are fairly traded, organic, vegan, gluten free and soy free. Nothing says I love you like a home-cooked meal. 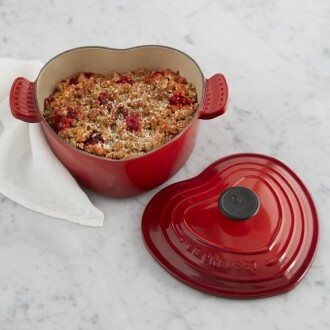 Serve it in style with this gorgeous heart-shaped Dutch oven from Le Creuset. Gimbal’s candy is for lovers — cherry and cinnamon lovers, that is. 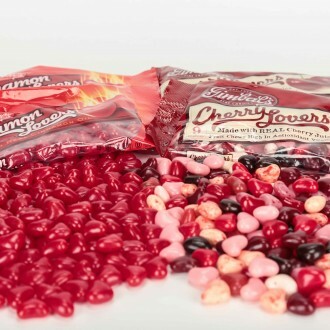 Choose from spicy Cinnamon Lovers (made with real cinnamon oil) or Cherry Lovers, which contains nine different cherry-based flavors. All Gimbal’s candies are peanut, tree nut, dairy, soy, egg and gluten free. 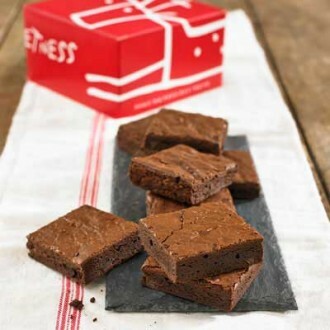 Say Happy Valentine’s Day to the chocoholic in your life with these Chocolate Chunk Brownies from Dancing Deer Bakery. The brownies contain both semisweet chocolate chunks and cocoa powder for a double dose of chocolaty indulgence.